Overseas Immigration has always been challenging for the applicants in terms of proving their skills and following the whole process in a flawless manner. Although, it has never been a cakewalk for the applicants, however, these days it has become even more complicated especially for the newcomers applying for the first time. The tightening immigration rules and regulations across the top advanced nations has been the key cause of the same in the recent past. Today, the professional advice and assistance have become quite essential in the last few years. Visas Avenue is a registered and widely popular Visa Consultancy in India for the immigration process of Canada and Australia. It is one consultancy service that has touched new milestones in the last few years in terms of top and result oriented client service. Its services have come good for hundreds of applicants in the last few years and they were able to live their dream of immigration to their favourite country. 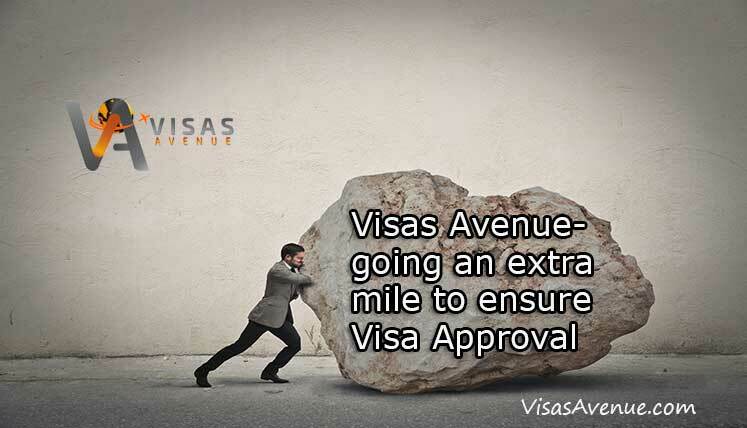 In fact, many times the Visas Avenue client service managers and executives have gone an extra mile to make certain that their client applies in the most appropriate program and get the approval for the visa at the end of the day. Recently one client of Visas Avenue, who couldn’t get the PR visa for Australia, visited Visas Avenue for Canada PR. The Client Service Manager at Visas Avenue suggested him to be the primary applicant, as for Australia PR his wife was the primary applicant. The couple agreed on the same and later Visas Avenue team went an extra mile to make sure that client’s application is submitted to the Nova Scotia Provincial Nominee Program (NSNP). As was expected, after few weeks the client got the nomination from the province of Nova Scotia for Canadian permanent residency. This is a prime example of client service where VA team put their hard out effort to make certain the client’s application is submitted for a particular Provincial Nominee Program despite it being odd hours. Well, all the Visas Avenue teams across India has such success stories to share. The dedicated client service has always been a success mantra for Visas Avenue team and it has paid off superbly for the whole organization over the years as the group is getting bigger and even bigger with every passing year. Hence, if you are also an aspirant of PR visa in Canada and Australia, you also shouldn’t give a second thought in choosing Visas Avenue as your mentor and guide for the whole immigration process. You may visit any of the Visas Avenue offices in Delhi, Mumbai, Bangalore, Hyderabad or Chennai for consultancy or may call the below contact details.